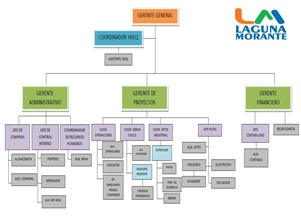 LAGUNA MORANTE S.A., is a construction company founded in June 1990 in Cartagena, Colombia. 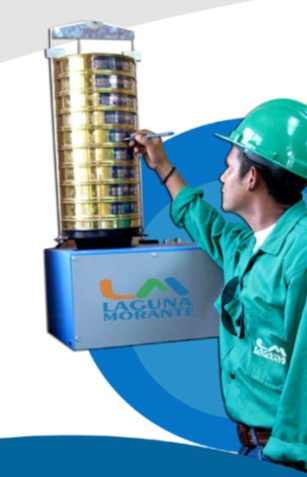 LAGUNA MORANTE S.A. specializes in metalworking activities, such as construction, repair and assembly of pipelines, electromechanical assemblies, as well as civil engineering, sandblasting, mechanical cleaning and other general metalworking services. 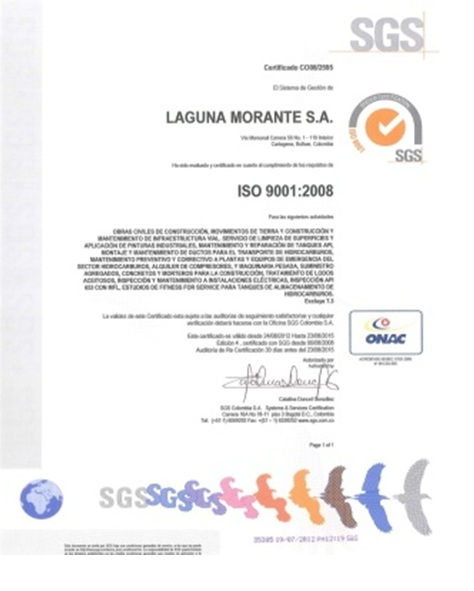 LAGUNA MORANTE S.A. has 23 years of experience in the metalworking sector and is known for its excellent performance, high quality services, experienced human talent and commitment towards its customers. Within the last 23 years, the Company has been diversifying its portfolio of services, according to the specific needs of the target market. 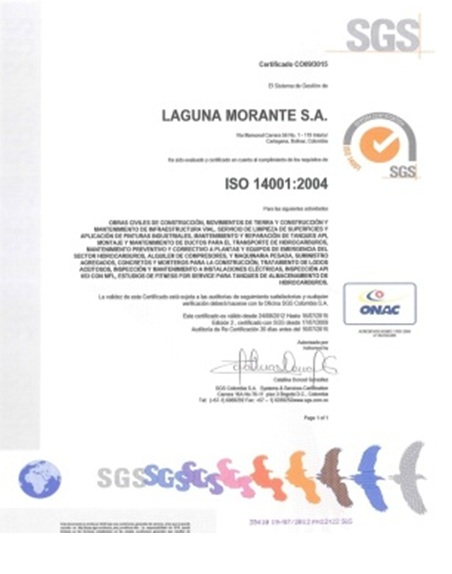 LAGUNA MORANTE S.A. is following the Environmental Management Plan approved by the Regional Autonomous Corporation CARDIQUE, along with the Occupational Health and Management Program certified by the Colombian Safety Council and has been certified under ISO 9001:2008, ISO 14001:2004 and OHSAS 18001:2007 Quality Management Systems. LAGUNA MORANTE S.A. offers industrial protective coating services, such as high-tech industrial paints, anti-corrosion coatings and surface treatments, as well as tank coating and tank painting services, using a high performance team specialized in the provision of cost-effective and reliable protective coating solutions. 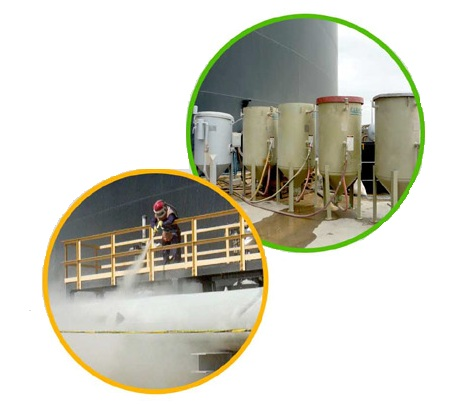 SSPC-SP-5 NACE-1, SSPC-SP-6 NACE-3, SSPC-SP-7 NACE-4 and SSPC-SP-10 NACE-2 for Abrasive Blasting. Additionally, the Company offers construction support services using specialized personnel, as well as transportation of machinery and equipment to the site. ZONA FRANCA PARQUE CENTRAL - Earthworks (64 hectares), road construction, as well as canal, box culverts, warehouses and buildings construction services. ECOPETROL S.A. - Maintenance, repair, installation and rehabilitation of tanks and oil pipelines. 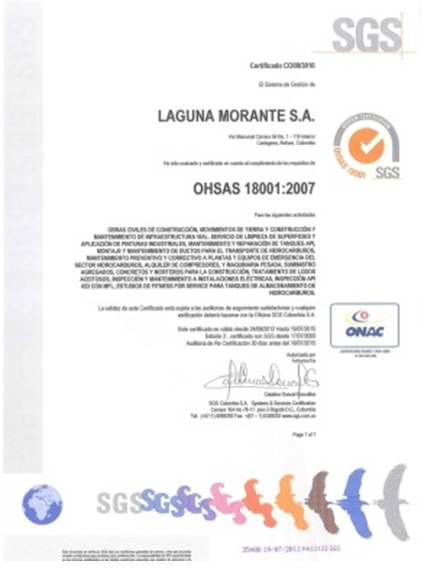 OLEODUCTO CENTRAL S.A. - Maintenance and repair of tanks and oil pipelines.